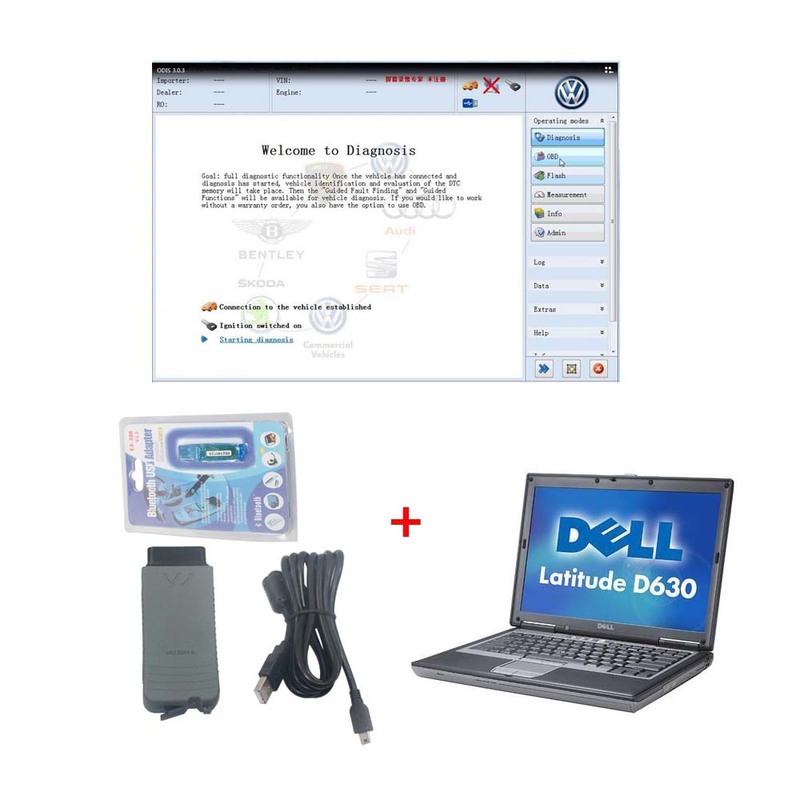 This is full version VAS 5054A software odis V4.4.1 installed on Dell D630 laptop, you can operate directly. VAS 5054a Full Chips diagnosis and programming tool for VAG vehicles, come with ODIS software V4.13 support 2015.12 all Volkswagen, Audi, Seat, Skoda, Bentley, Lamborghini?this vas interface from eobdtool.com vas 5054a is full version with VW ODIS V4.13 installed on High Quality laptop Dell D630, You just need to connect the VAS5054A head to the car, and use the bluetooth to connect to this Dell computer, then you can operate directly, no need to install. received item in good condition need to check by connecting to the vehicle.